Material for this dress is soft. Not those stiff denim but more of a cotton denim. The difference between Size S and M is not that much. Maybe about 1 inch. M would be a better size for me to camo the tummy area without being too loose. Would advise you to refer to the measurements provided before launch and not size up depending on your preference and whether you’re like me with a need to camo the tummy area. Straps are adjustable and dress comes with discreet back zip. No lining for this dress. The embroidery at the bottom of the dress does not extend to the back. 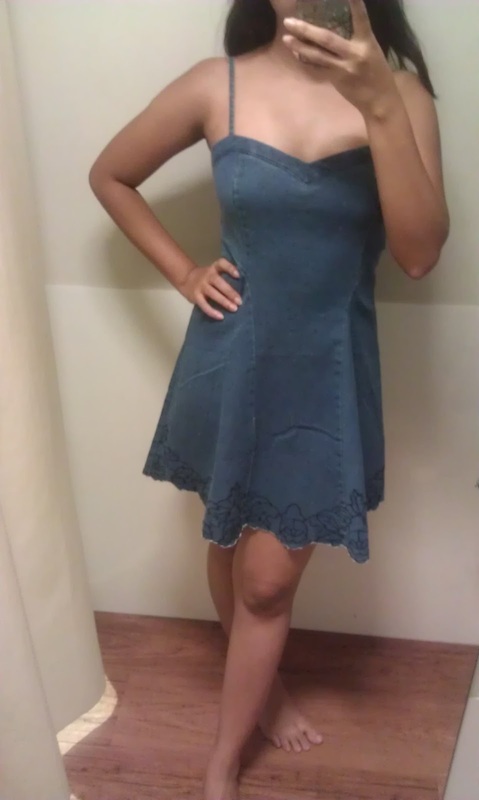 If you need more casual flattering pieces you may consider getting this dress. There was dark wash on the racks also. Dark wash came with bright yellow coloured embroidery. 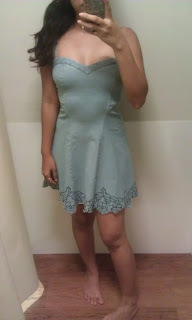 This dress came with $37.90 pricetag at Kissjane.